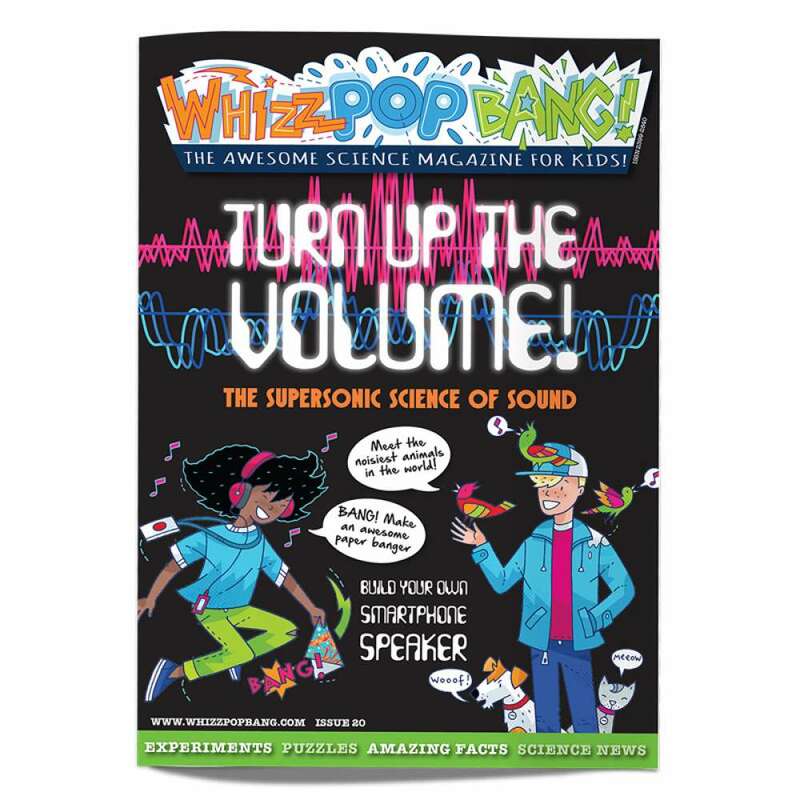 We're investigating the science of sound with a Whizz, a Pop and a Bang this issue! 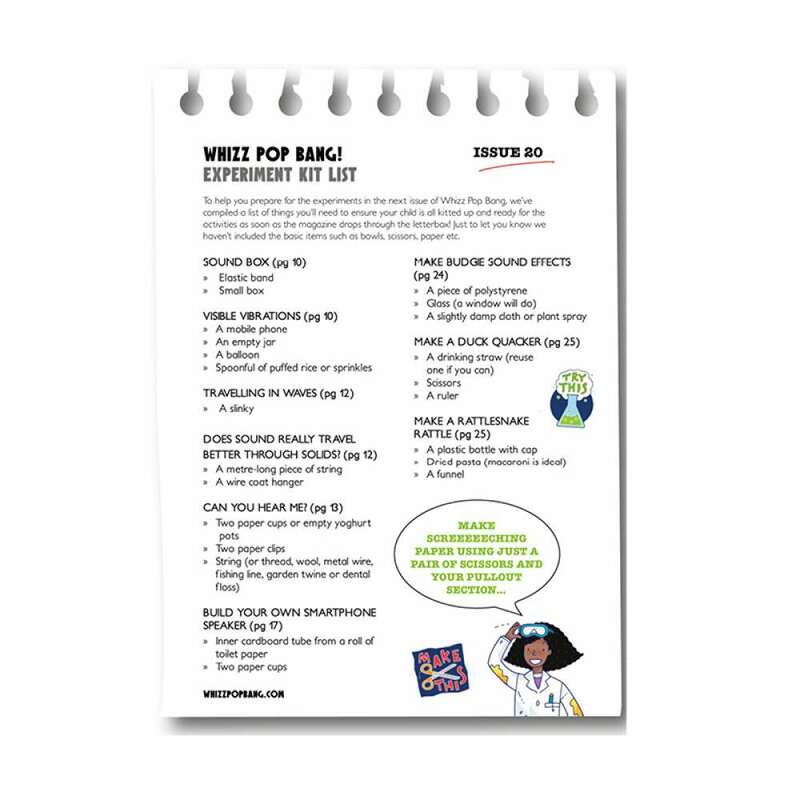 Join in at home by making your own screecher, banger and smart phone speaker from our noisy Pullout section. You can also investigate how sound travels through solids by constructing a string telephone, and then take some inspiration from noisy nature by making a duck quacker and a budgie triller. Meanwhile, vet Joe Inglis tunes in to the loudest animal on the planet – the sperm whale. What's more, you'll also read about Rachel Carson, the rebel scientist who took on the mighty chemical industry and then why not step behind the scenes with Caoimhe Doyle, whose sound effects bring films to life. 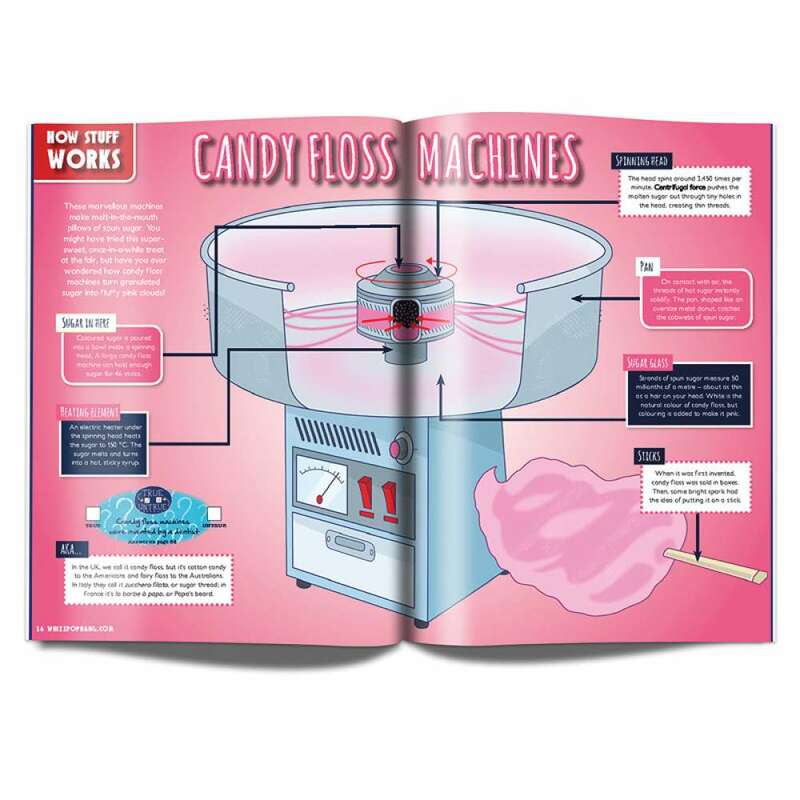 You can also learn about how we might tackle the problem of cleaning up space junk, you can peek inside a speaker and have fun discovering 10 Awesomely Amazing things that beat sound in a race - a whole cacophony of science in one rather noisy and action-packed magazine!